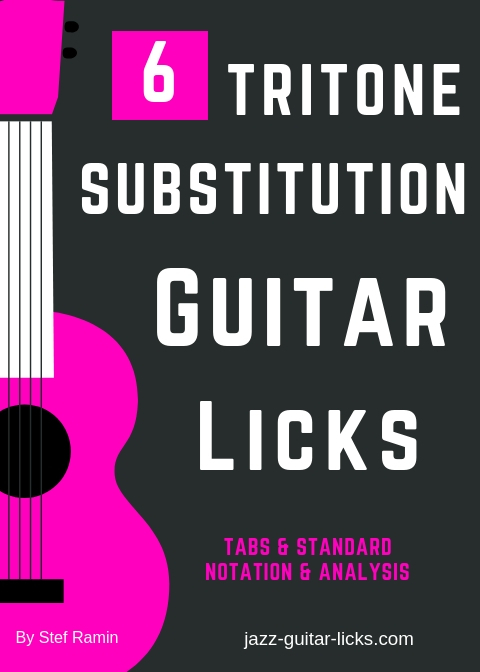 The tritone substitution is one of the most common substitutions found in jazz music. How does it works ? How to solo over a tritone substitution ? This eBook answers these questions with six easy examples over a II-V-I progression. Tabs, analysis, youtube video link included.